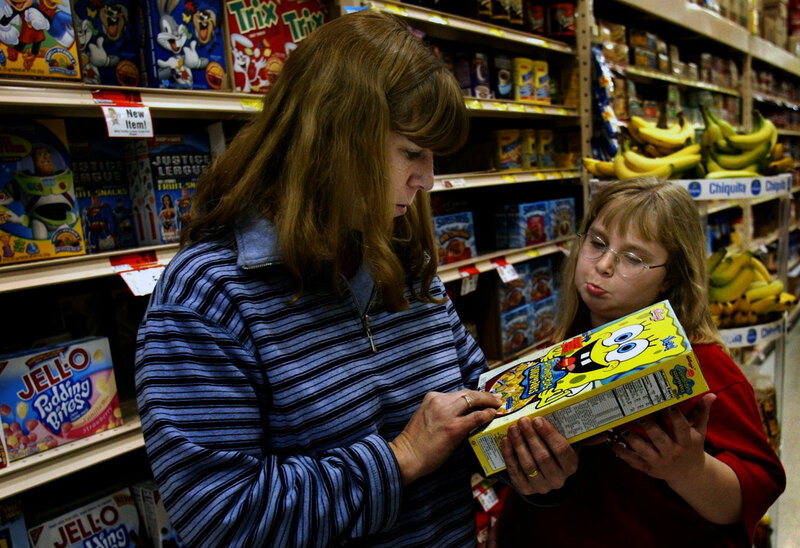 ADVERSTISING- "Please mom, Sponge Bob is my favorite," pouts Taylor,10, wanting to try the popular cartoon character cereal. "I didn't even know he had a cereal," says Theresa, who bought the box. Kids are exposed to 40,000 ads a year and food advertising aimed at kids is at an all-time high, public health advocates say.